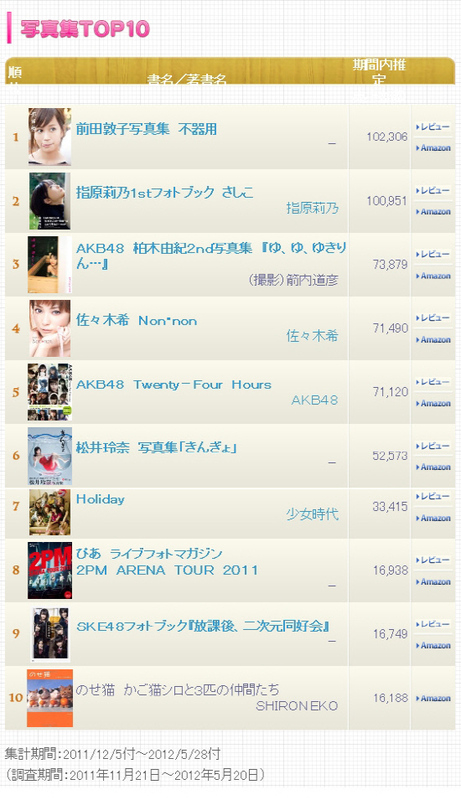 SNSD and 2PM's photo book's released in Japan have ranked well in the first quarter photo book chart in Oricon. SNSD's first official photo book "Holiday" raked in 33,415 sales upon its release and fellow K-pop group 2PM with their first official photo book "2PM Arena Tour 2011 Live Photo Magazine" raked in over 16,938 sales. The two groups were able to be part of the top 10 in the quarterly Oricon sales charts, despite this becoming their first official photo book, they were well received by the local Japanese fans and received thousands in sales. Meanwhile, 2PM are busy with their concert tours in Japan while SNSD are also busy with their own personal schedule.